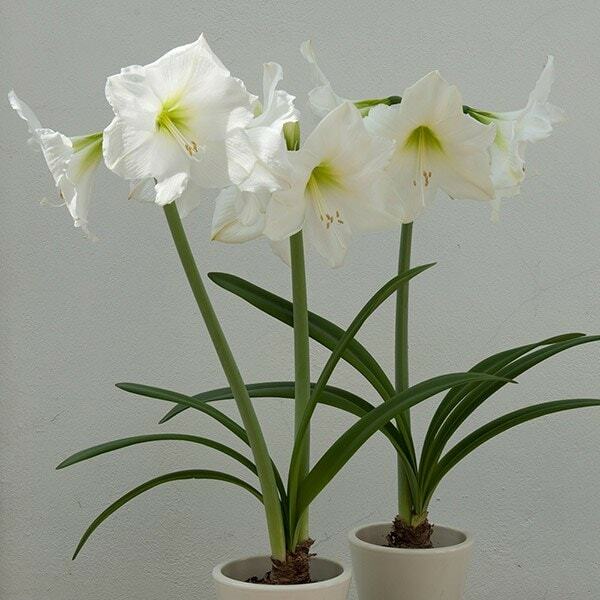 Slightly ruffled, creamy white petals with a green-flushed eye, form sumptuous trumpet-shaped flowers in winter. 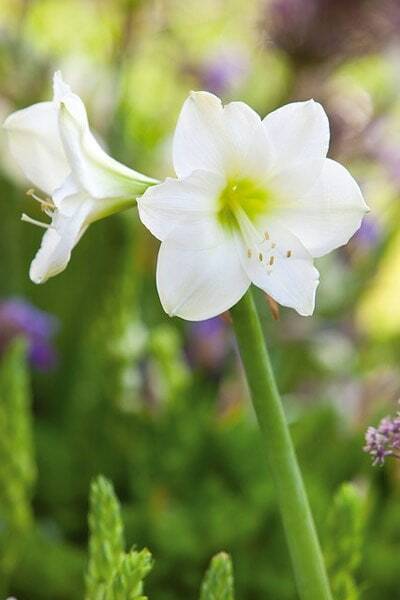 A wonderful gift for a green-fingered friend, these bulbs are easy to grow in pots. Before planting make sure the supplied compost is moist but not waterlogged. Place half the compost in the pot and then sit the bulb on top (pointy side up). Fill in with the remaining compost so the upper third of the bulb is exposed. Water sparingly and place in a bright, warm position (indoors). Keep the compost moist but not waterlogged at all times and rotate the pot every so often to keep it growing straight. The stem may need support when the flowers start to bloom. Delivered promptly at the end of October. Flowering now, pretty dormant for a while but once the buds started to emerge, flowering took place. They are totally gorgeous, well worth the wait! I bought this as a Christmas gift for my elderly mother, and it has given her so much pleasure - it is still flowering in mid March, and is apparently on its 13th flower! It has given her a real interest through the winter months.